Stana & Nathan (Castle). Image: Tvguide. HD Wallpaper and background images in the château & Beckett club tagged: castle caskett kate beckett richard castle stana nathan. This château & Beckett wallpaper contains portrait, headshot, gros plan, and closeup. 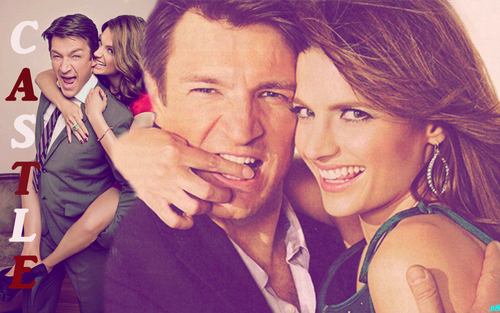 château & Beckett || "Enjoy The Silence"